Sollux Captor. Again another picture I drew also on my Deviantart account. 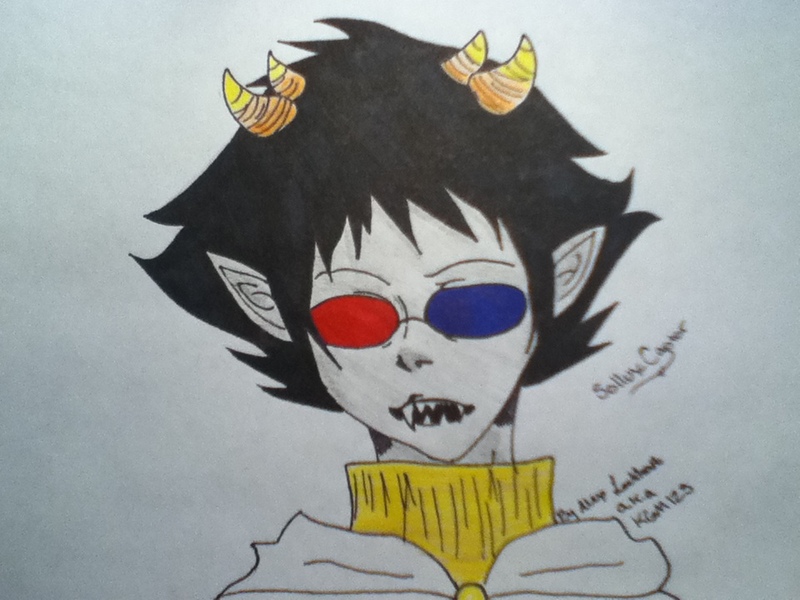 HD Wallpaper and background images in the होमस्टक club tagged: sollux homestuck trolls. This होमस्टक fan art might contain मोबाइल फोनों के लिए, हास्य पुस्तक, मंगा, कार्टून, एनीमे, कॉमिक बुक, and manga. Maid of time god tier! Omg! on my fav site! Kankri in that adorable sweater of his~! t's mE! In thE flEsh! doom and 2pace II gue22? ?